Easy to use Medical alarms that give your loved ones peace of mind wherever they are. The Oysta Medical Alarm is an ideal fit for people who prefer a portable medical alarm that gives them the independence to go about their daily activities, away from the home, while having the ability to raise an alarm for Help if needed. The Oysta Medical Alarm is a portable, light weight, easy to use alarm device that operates across the 2G cellular network coverage areas in NZ. How it works is you simply press and hold down the SOS button in the centre of the device for approximately 3 seconds. This will activate an alarm which is received by our Monitoring Centre Operators. Through the Oysta medical alarm you will receive a voice call from our operators asking you if you require assistance. In addition when pressing the SOS button, GPS coordinates are automatically sent from your Oysta Medical Alarm device to help us identify your last known location. This will help Red Wolf Operators provide Emergency Services with the necessary information to pinpoint your whereabouts. As the Oysta Medical Alarm is portable, no onsite installation is required by one of our installers. There is a simple to follow step by step setup guide shipped with the alarm and to help you, Red Wolf Operators will contact you to guide you through the simple setup process. For further details, please download the datasheet below or contact Red Wolf High Level Monitoring on the toll free enquiry number below. The GSM Medi-Minder Medical Alarm is a simple yet highly intelligent medical alarm device that has been specifically built with aged care persons in mind, utilising the cellular network to communicate back to Red Wolf High Level Monitoring when you need help. By pressing the large HELP button on the base station, or from the wearable pendant, an alarm is sent to Red Wolf High Level Monitoring over the cellular network. Once the alarm is received by Red Wolf, our Monitoring Operators will open up voice communications with you through the Medi-Minder base station to verify if Emergency Services are required. Mains powered with battery backup that can operate for approximately 48 hours during a mains power failure. The wearable alarm pendant is hermetically sealed to IP66 waterproof rating. The pendant battery does not need recharging and has a service life of 5 years. The wearable alarm pendant has an operational range of approximately 100-120m in communication with the base station. 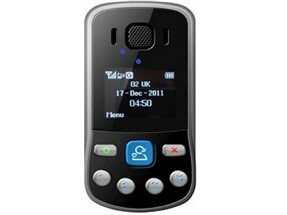 The GSM Medi-Minder operates over the 3G cellular network and performs where there is good signal coverage. In areas with poor cellular coverage, Red Wolf can supply an analogue option that operates through your home phone line. Please call us to discuss. How Can We Help With Your Medical Alarm Requirements? Copyright © 2017 - Redwolf Security | Design by Creative Mouse. Developed by Superstar Websites.